Major Bruce Ekman was injured in an IED strike on his armoured vehicle with 42 Commando Royal Marines in Afghanistan in 2011. It was initially thought that Bruce’s left foot would need to be amputated and he was flown back to the UK for the operation. Fortunately, the surgeons were able to save his foot and he underwent a triple fusion in his left foot. Bruce was then treated at DMRC Headley Court by Nicole Bennett, Lead Orthotist for Blatchford, and provided with a custom-made carbon fibre off-loading brace called Momentum. Momentum is an innovative custom carbon fibre Ankle Foot Orthosis (AFO). Designed to partially offload the foot and ankle to stabilise and relieve pressure and pain following complex lower limb injury. With carbon fibre struts that work much like prosthetic running blades, it stores and returns energy to enable participation in high impact activities such as running. 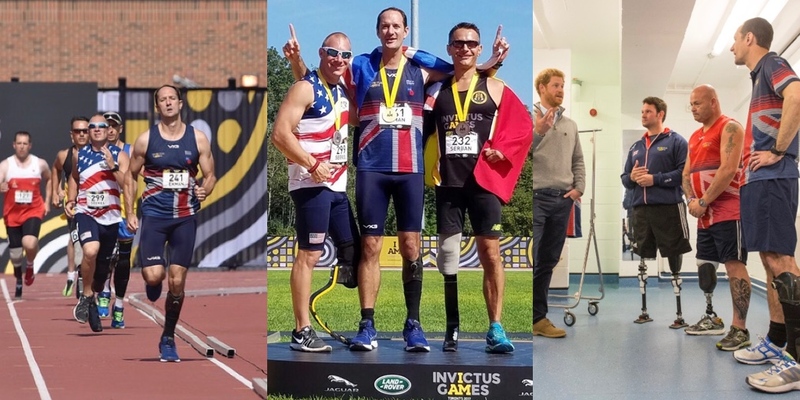 Bruce would encourage anyone either serving or who has left the military with any kind of injury or illness to consider registering for the 2018 Invictus Games which will be held in Sydney, Australia.